“A journey of a thousand miles begins with a single step” (Lao-tzu). Jacinta is one of AMSI’s Schools Outreach Officers. Jacinta’s journey started with being ‘good at maths’ at school, then continued with maths being one of her favourite subjects to teach. She enjoys problem solving and puzzles and building and creating. As maths educator she now shares this love of maths and teaching mathematics with others. 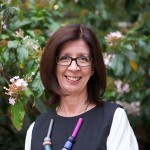 Jacinta has been a primary school teacher for 20 years, holding various leadership positions including wellbeing, sport and of course mathematics. 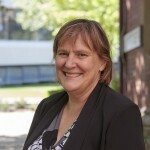 She holds a Masters in School Leadership (Numeracy) and is working on a Graduate Certificate in Educational Research. Jacinta believes maths should be fun, challenging and promote a sense of achievement. It’s the journey, not the destination that is important!